For 25 years we have made compact disc albums available. With the rise in the popularity of streaming we are about to discontinue compact disc sales. Our remaining stock is on sale at half price, but hurry, this is a never to be repeated offer. 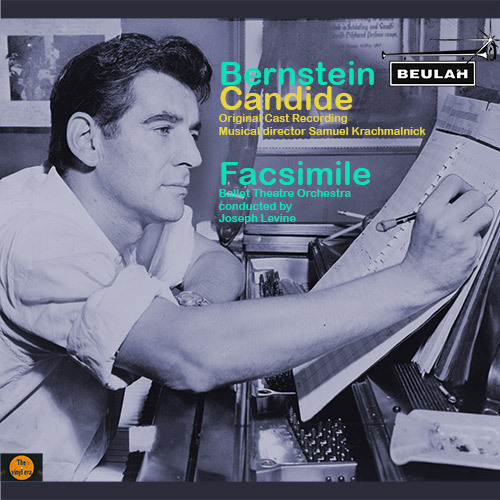 "Sony’s reissue of the original cast Candide recording is now download only, comes without coupling and costs more than this Beulah transfer, which contains a considerable coupling. The recording is bright and a trifle brash but very tolerable. "Leonard Bernstein’s own recordings of Facsimile feature on a number of Sony and DG single and multiple releases, but I believe that this is the only currently available version of Joseph Levine’s recording with the Ballet Theatre Orchestra. Levine’s interpretation is lighter, more balletic than the composer’s own and the recording has come up needing little tolerance. 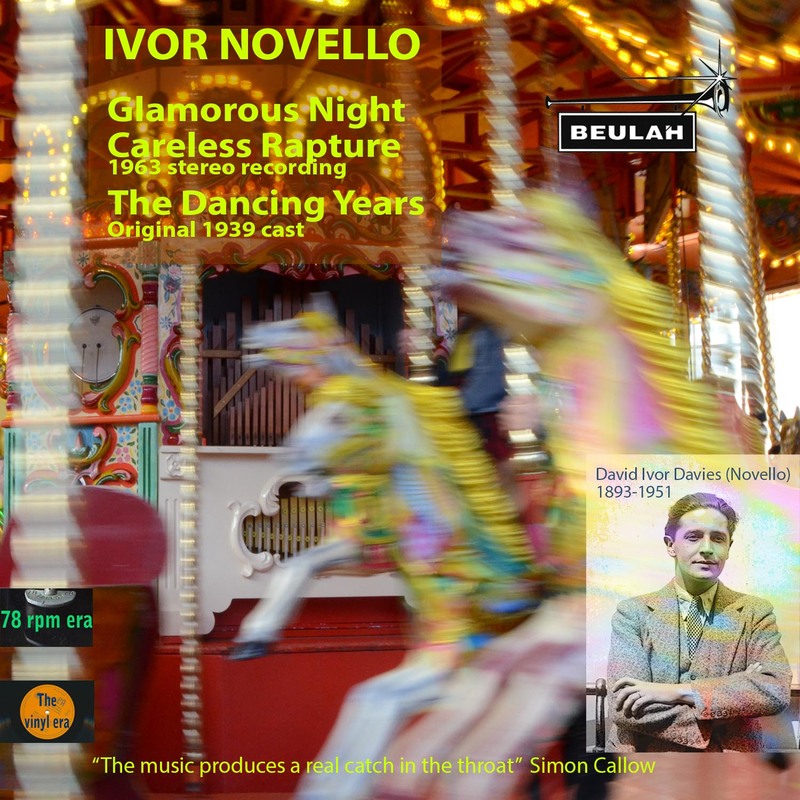 I had already made the Ivor Novello Reissue of the Month, but this must share the accolade with it – a double whammy for Beulah." 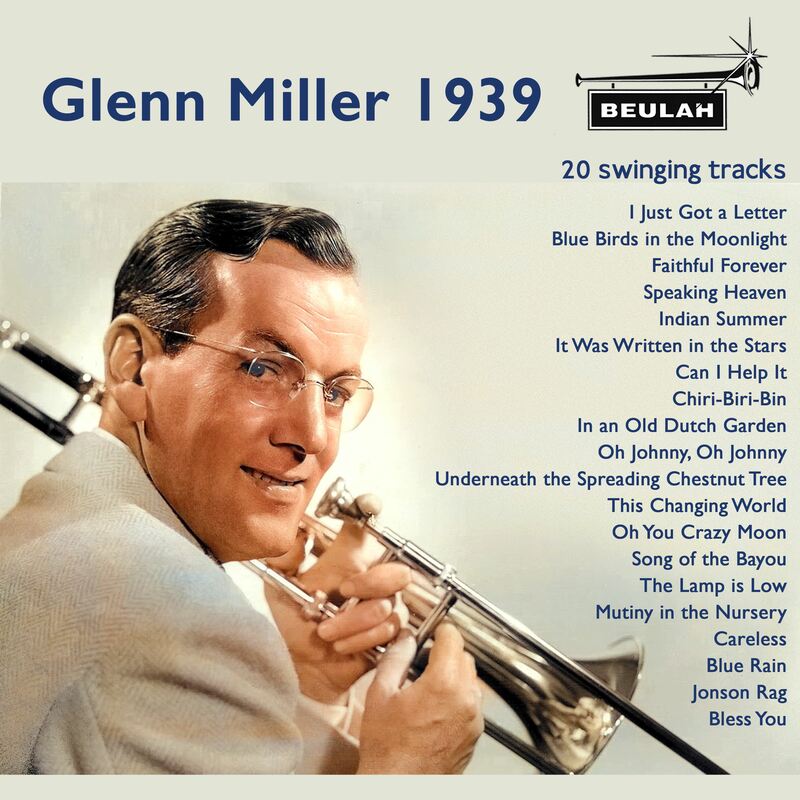 "Nostalgia isn’t what it used to be; with the fading away of the pre-war generation who revelled in Ivor Novello’s music – The Dancing Years was the last show at Drury Lane before the balloon went up – there seems to be less interest in the music of the 1930s today. And yet ... endless repeats of Dad’s Army and Poirot, with its art deco sets, still command a faithful audience on TV and I’m as hooked as anyone. "Novello’s operettas are well crafted, if now rather sentimental sounding, and there should still be a place for them. The recording of The Dancing Years requires a little tolerance, but that of the other items doesn’t. Naxos offer this recording of the items from The Dancing Years with 1948 recordings of music from The King’s Ransom, but most will prefer this Beulah release, which has the field to itself in the 1963 items. Lovers of Novello should snap it up. Though it’s not part of my regular repertoire, this has to be my pick of the Beulah reissues this month." 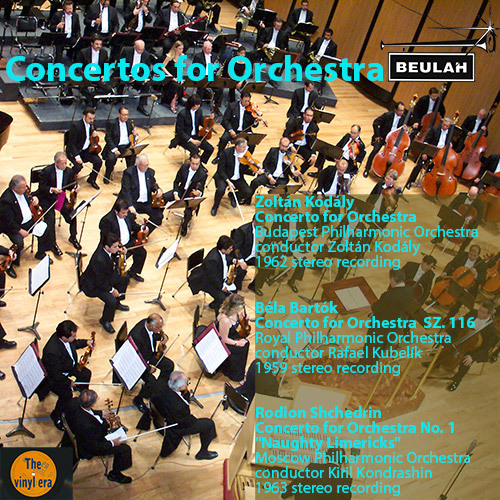 "There are just two versions of the Bartók of this vintage that I would have chosen – Reiner (RCA, above) and this rather less extrovert but very valid account from Kubelík. It was originally released by EMI (ALP1744) but I owned the World Record Club reissue, my enjoyment of which was spoiled only by rather noisy surfaces. I’m pleased to report that there is no hint of surface noise on the Beulah transfer, where this fine performance sounds much better than I recall. Full marks. "It’s very valuable to have the composer’s own take on it, not necessarily definitive but well worthwhile. It’s also available on a Hungaroton 2-CD set, which I haven’t heard but doubt if it sounds any better than the very fine Beulah transfer. "I didn’t know the Shchedrin, but it’s a typically quirky piece which receives an appropriate performance and recording."